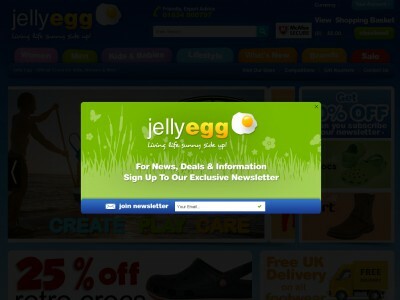 Jelly Egg voucher codes - up to 40% off with april 2019 offers! Are your toes tired of being crammed into sub-par shoes? Does your sole long for the perfect fit? With a Jelly Egg discount code you can enjoy fantastic savings on a wide range of gorgeous footwear for men, women and children. So whether you want some sunny sandals for a trip to the beach or some sturdy boots for hiking in all weathers, a Jelly Egg discount code will help you get happy feet for less. Jelly Egg has been in the footwear and accessories market for over 13 years, so they know just about everything there is to know about keeping feet and toes happy in good quality shoes. Based in Narbeth in West Wales, they have two retail stores stocking over 40,000 pairs of shoes and a popular online store where customers can shop for top products from some of their favourite brands. At Jelly Egg, their focus is one encouraging their customers to live life 'sunny side up'. Aiming to promote a positive feeling through their products, they are dedicated to providing the very best quality, value and service – always leaving customers with a smile on their face. The team at Jelly Egg are passionate about footwear and accessories, and it shows in every element of the business from the selection of top brands to the high levels of customer care. 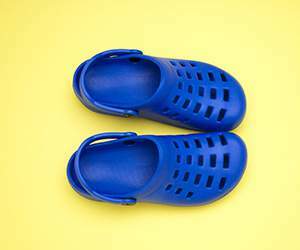 At Jelly Egg's comprehensive online store customers can browse a wide range of shoes and accessories from some of the world's favourite brands including Crocs, Keen, Art, Birkenstock, Kickers, Merrell, Homeys and Havianas. Items are available to browse by category or by brand – so it's easy to find your favourite labels or discover something new. Looking for a new pair of stylish sandals to take you from town to beach? Jelly Egg have a great range for you to choose from, including flip flops, leather sandals, walking sandals and more. Or perhaps you need a smart new pair of shoes for work? You'll find a whole category dedicated to footwear that will help you look professional and polished in the office. As well as a fantastic selection of footwear Jelly Egg also offer plenty of accessories and homeware from all your favourite brands. Whether it's a cool Envirosax bag for eco-conscious shopping or a huge Fatboy beanbag for the ultimate chill space, you're sure to find something to suit every budget and taste. Want to get shopping with Jelly Egg? With a Jelly Egg discount code you can enjoy great savings on their wide range of shoes and more. So whether you need a stand-out pair of heels for a formal occasion or some comfy trainers for everyday wear, a Jelly Egg discount code will save you money while you shop. Browse our website until you find a Jelly Egg discount code that suits you, then navigate to their website to begin shopping. Click on a product for more information, then click 'Add to basket' to buy. When you're finished shopping, click 'Checkout'. Click to apply your Jelly Egg discount code. Enter your code in the box provided and click 'Apply'. If you've enjoyed shopping at Jelly Egg, you might also like to check out more great discounts on footwear and more at stores like Debenhams or TK Maxx. Or, if those aren't right for you, you'll find plenty more deals to browse in our Fashion, Accessories and Jewellery section. Enter your details and click 'Proceed to payment'. 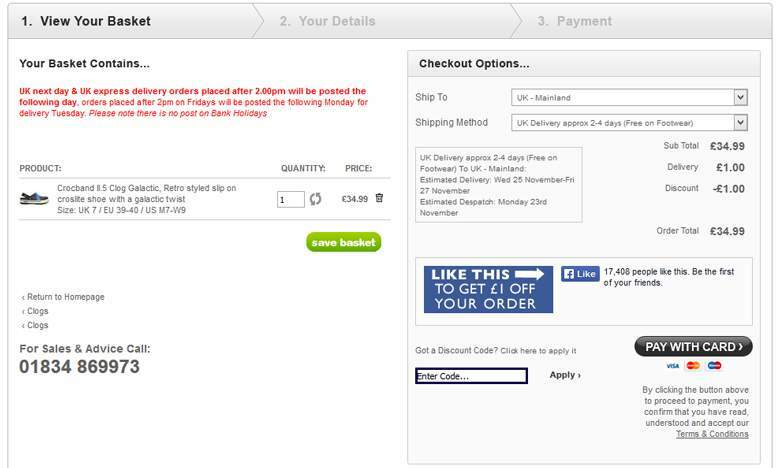 Enter your payment details and click 'Pay' to complete your order. Standard UK delivery is free for all footwear. For other products, a delivery charge of £2.99 applies. If you need to return a product for any reason to Jelly Egg, you can do so by simply returning your items in their original condition within 21 days of date of purchase. Need to speak to the team at Jelly Egg? Whether you have a question about your order, want expert advice on choosing the right products or simply want to find out how you could make big savings with a Jelly Egg discount code, you can contact the Customer Services department by telephoning 01834 860797. Want to discover more from Jelly Egg? Why not follow the company across your favourite social media networks? You'll enjoy access to loads of exclusive content including competitions, promotions and more. You can also use these pages to find out more about saving money with a Jelly Egg discount code. Don’t forget to check them regularly, as you can never be sure when a free Jelly Egg discount code might be waiting for you! Buy now online at www.jellyegg.com. I really love wearing crocs shoes around the house, but they can be really expensive. Luckily, I found a Jelly Egg discount code online. With a Jelly Egg discount code you can get fantastic deals on a wide range of footwear and accessories for men, women and kids at jellyegg.com. I used my Jelly Egg discount code to treat myself to a brand new pair of crocs and some fun shoe charms too. So why don't you choose something?